India’s decision to end government control of diesel fuel prices will save the government billions of dollars which can be better spent on more pressing needs such as building schools, roads and ports, analysts say. India announced over the weekend that it would end a decades-old policy of controlling the retail price of diesel fuel. Providing diesel at below-market rates cost the government about $10 billion last year, hampering India’s ability to spend on other things. The government had given up control over the prices of gasoline back in 2010 but had continued to regulate prices of diesel – the primary fuel used in trucks and tractors as well as for running generators used to power irrigation pumps. “It shields the government’s finances from volatility in global oil prices, because of which the subsidy bill often went up,” said Radhika Rao, an economist at DBS Bank. HSBC estimates that the diesel deregulation will drop fuel subsidy bill to around 0.4% of gross domestic product, half of the 0.8% of GDP it paid last year. “Our estimate is that over the next few years, fuel subsidies should remain contained,” said Prithviraj Srinivas, an economist at HSBC. 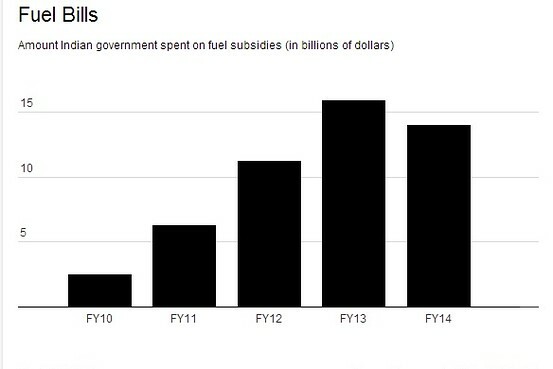 Diesel subsidies cost India close to $50 billion over the last five years, economists say. If India sticks to its guns and lets fuel prices meander with global markets, it will no longer have to foot that kind of unproductive expense. Instead, it can now choose to lower its fiscal deficit or spend more on infrastructure development or social development programs. Analysts say the government’s fiscal deficit target of 4.1% of GDP this fiscal year – a level that many analysts had thought optimistic – now looks within reach. via Diesel Deregulation Frees Up Billions for India to Spend More Wisely – India Real Time – WSJ. China grew at its slowest pace since the global financial crisis in the September quarter and risks missing its official target for the first time in 15 years, adding to concerns the world’s second-largest economy is becoming a drag on global growth. A pick-up in factory output and government confidence that the labor market remains stable were offset by further slowing in the property sector, and economists remained divided on whether or not authorities would step in with major stimulus measures such as interest rate cuts. China’s gross domestic product (GDP) grew 7.3 percent in the third quarter from a year earlier, official data showed on Tuesday, the weakest rate since the first quarter of 2009. That was slightly above the 7.2 percent forecast by analysts but slower than 7.5 percent in the second quarter, and even then some economists were surprised. “It’s hard to square the GDP print with the industrial production numbers for the quarter,” said Andrew Polk, economist at the Conference Board in Beijing, one of the more pessimistic research houses on the Chinese economy. via China’s growth slowest since global crisis, annual target at risk | Reuters. Most of China’s provinces are ahead of schedule or on track to meet 2015 energy savings targets, the government said on Friday, with Beijing and Shanghai among the frontrunners as the world’s No.2 economy seeks to reduce its impact on the environment. China has pledged to reduce its energy intensity – the amount of energy it uses to add a dollar to its gross domestic product (GDP) – to 16 percent below 2010 levels by 2015. Beijing’s intention in setting the targets was to slow emissions of climate-changing greenhouse gases and cut expensive fuel imports, but they have won new relevance with the pollution crisis that has enveloped the nation the past two years. via China provinces on track to meet 2015 energy targets: NDRC | Reuters. 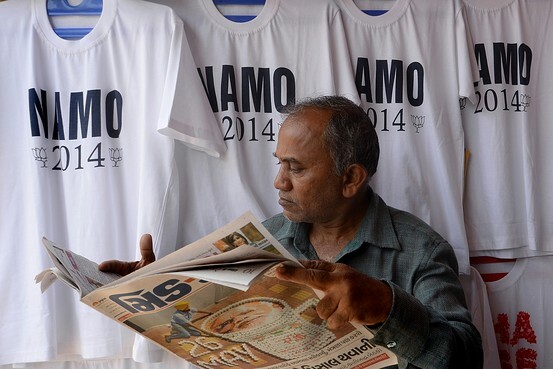 Optimism abounds in India following Narendra Modi’s unexpectedly strong election victory. It’s still early days, but the new government’s priorities and coherence are a breath of fresh air. As India’s economy gets back on its feet, one question is whether the recovery will be shaped like a U, a V or a square root. In other words: Can growth rebound as quickly and strongly as it did after the global financial crisis? Unfortunately, the answer is no: India’s recovery will be gradual and uneven, at least in the near term. Growth will accelerate sharply from fiscal 2016 onward. It’s worth recalling the sting from the global financial crisis. Gross domestic product growth, as measured by production, plunged to 5.8% on-year in the final quarter of 2008, from 9.8% in the second quarter. Growth in expenditure GDP – a less reliable measure – dropped even more, to 1.5% on-year from 8.1%. The main casualty was growth in gross fixed capital formation, which typically enhances an economy’s productive capacity. This fell from 13.9% in the second quarter to 2.1% in the fourth quarter – then declined by nearly 10% in early 2009. Afterward, both capital formation and GDP recovered rapidly in a classic V-shaped pattern. Production GDP growth, which fell to 6.7% in fiscal 2009, averaged 8.8% a year in the next two fiscal years. Gross fixed capital formation averaged nearly 10% growth per year in fiscal 2010 and 2011, a swift recovery that hinted the economy was once again on an elevated trajectory — though policy paralysis later shortchanged it. via Plotting the Shape of India’s Recovery – India Real Time – WSJ. SOME economic journalists are like stormbirds: they come alive when financial clouds gather and the thunder rolls. Your correspondent’s career has been different. He has migrated away from trouble, escaping crisis-struck Britain for booming India in 2007, then leaving that country before it sank into its sad, stagflationary funk. This will be his last week covering China’s economy—which is just as well, given the whiff of ozone in the air. This month China’s corporate-bond market suffered its first default since it began in its present form, a widely watched manufacturing index fell for the fifth month in a row, and officials in one eastern county rushed to placate worried depositors lining up to withdraw money from two small banks. It would seem a good time for a fair-weather bird to fly away. 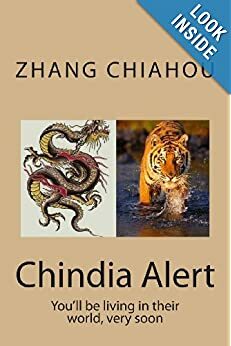 But China remains a resilient economy. It still has substantial room for error and a lot of room to grow. Although it is already a very big economy (its $9 trillion GDP is bigger than 154 other economies combined) it is not yet a very rich one. Its income per head (at market exchange rates) is only 13% of America’s and ranks below that of more than 80 other economies. Because China is already the world’s second-biggest economy, it attracts scrutiny that smaller economies escaped when they were at a similar stage of maturity. Observers expect it to pass financial thresholds that other catch-up economies did not cross until much later in their development. This month’s bond default, for example, represents a painful but necessary step towards maturity for China’s capital markets. Most commentators saw it as a woefully belated coming-of-age. But Japan did not record its first bond default until the late 1990s, when its standard of living was 3.7 times China’s today. Likewise back when South Korea had the same income per person as China enjoys now, foreigners paid little attention to its monthly manufacturing wobbles. The heft of China’s GDP combined with the modesty of its GDP per person is one of the curiosities of China’s economy. But it is not the only one (see box). Another example is China’s “financial repression”. Its central bank caps the interest rate that banks can pay depositors, imposing an implicit tax on their savings. But in China, unlike other countries, this repression does not discourage saving. In fact, it appears to do the opposite. The country’s households are “target savers”: they squirrel away money to meet a fixed financial goal, such as the down-payment on a home. If their thrift is poorly rewarded, they simply do more to reach their target. China’s financial repression has therefore proved surprisingly sustainable (although restless depositors have sought higher returns from online funds and wealth-management products). It has contributed to China’s remarkably high rate of saving, which reached over 50% of GDP in 2012. This is more than China can invest at home, obliging it to export some of its saving (typically 2-3% of GDP) abroad. This incurs the wrath of its trading partners. But therein lies a paradox. Even as China is frequently lambasted for excess saving, the same critics also accuse it of excess borrowing. Worrywarts point out that credit in China has increased from about 100% of GDP five years ago to about 135% of GDP today. The central bank’s broader measure of financing (which includes the bond market and some bits of shadow banking among other items) is 180%. How can an economy suffer from both excess saving and excess borrowing? This riddle is best answered with a textbook parable. Consider a one-farm economy, which yields a GDP of 100 ears of corn. The farmer gives half to a fieldhand as wages and keeps the rest for himself. The fieldhand eats half of his wages and lends the remainder (25 ears) to the farmer. The farmer now has 75 ears of corn. He eats 25 of them, ploughs 48 back into the field as seed corn for next year’s harvest and lends two to a neighbouring farm. To an economist, saving means anything not consumed. Therefore this economy, like China’s, has a remarkably high saving rate (the 50% of corn not eaten). But this high saving is combined with heavy domestic borrowing: the farmer has added 25% of GDP to outstanding debt. If, instead of lending corn to the farmer, the fieldhand ate it, saving would fall (because more corn is now being consumed) and so would borrowing (because the farmhand is now consuming his own earnings, rather than lending half of them out). China’s economy last year harvested over $9 trillion worth of goods and services. Almost half of that output consisted of new capital goods (infrastructure, housing, factories and machinery). This investment rate of about 48% of GDP is among the highest ever recorded. Some of this frantic accumulation has been wasteful: building cities without citizens, and bridges without destinations. It is as if the farmer scattered some seed corn on stony ground, where it failed to take root. This “malinvestment” is a pity but it is not enough to undermine China’s economic future. The country, as its critics suggest, should have consumed these resources rather than squandering them on ill-conceived ventures. If it had done so, its people would be happier. But, it is important to realise, they would not be any wealthier. Consumption, like malinvestment, leaves no useful assets behind. If the farmhand had eaten the wheat his boss scattered on stony ground, he would be better fed but next year’s harvest would be no bigger. via The economy: On cloud nine trillion | The Economist. Pressure on the shadow banking system in China beginning to become visible ? 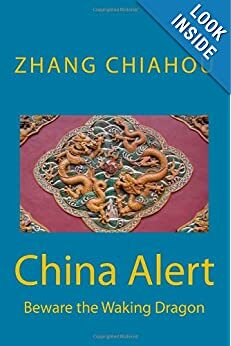 Nervous depositors aren’t waiting around to find out at small banks ……..What A Bank Run In China Looks Like: Hundreds Rush To Banks Following Solvency Rumors ! The Chinese government seems to appreciate the management axiom that “you don’t manage what you don’t measure”. When implemented, this new ruling should be good for the poor as well as ensure that some local authorities don’t jack up their debt any further to increase their GDP. “Chinese officials in poverty-stricken counties can stop worrying too much about regional GDP figures from now on, as the central authorities have moved to make poverty relief the priority for their work. The country will reform the evaluation system for officials from poor counties by prioritizing the work of poverty reduction rather than the regional GDP, according to a guideline released Saturday jointly by the Central Committee of the Communist Party of China and the State Council, the Cabinet. GDP figures will no longer be a standard for counties with fragile ecology or where development is restricted by the government to ensure sustainable growth, the guideline said. \”The country will take improving the livelihood of people in poverty and reducing poor population as major indicators\” to guide officials in poor regions to put their work priority on poverty relief, it said. via Poverty relief to become priority for poor counties – Xinhua | English.news.cn. As China released gross domestic product and other economic statistics earlier this week, a perennial question has once again been raised: To what degree can the numbers be trusted? While China’s official GDP in 2013 amounted to 56.9 trillion yuan ($9.4 trillion, up 7.7 percent from the previous year), the aggregate of all the provincial figures was about 2 trillion yuan more. And that’s not including three provinces (of 31 regions reporting), which have yet to publish their GDP numbers, according to Xinhua. While this has “aroused suspicion among Chinese netizens that some growth-obsessed local officials have cooked the books,” (quite likely, Xinhua says later in its piece) there are other reasons for the discrepancy, the article explains. One important reason: overlapping calculations, particularly when companies have businesses extending across different provinces. “Unlike the calculation of the nations’ GDP, where you have customs to clearly define the attribution of added value, it is very difficult to define which part of added value belongs to which provinces,” explained Cong Liang, an official with China’s state planning agency, who spoke at a press conference in Beijing on Jan. 22 and was quoted in the article. 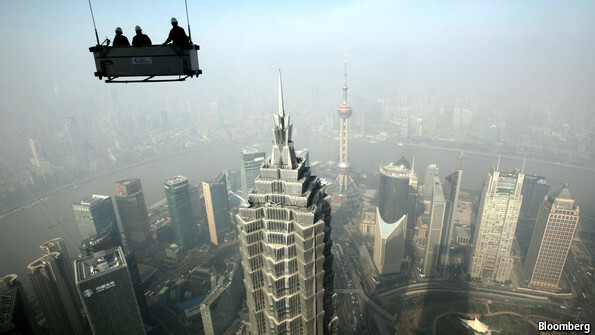 via China’s Latest GDP Numbers Are Under Scrutiny From Xinhua – Businessweek. CHINA’S economy, worth over $9 trillion in 2013, divides opinion. Often it divides it neatly in two: optimists contend with pessimists, apologists with alarmists, bulls with bears. Figures released this month encouraged both camps. China’s economy grew by 7.7% in 2013, a little faster than once feared. But a widely watched index of manufacturing, published by HSBC, a bank, fell for the fourth month in a row. This binary split in opinion is too crude. To understand China’s economy today, it is more helpful to think in threes. Start, for example, with three forms of growth: in supply, demand and credit. Over the long run, China’s economic might depends on the size of its workforce and its productivity. This combination determines how much stuff China can supply without overstretching itself. Numbers released this week confirm that the supply-side limits on growth are gradually tightening. The country’s urban workforce, which produces most of its output, is growing more slowly. The age group from which this workforce springs is now shrinking outright. The population of working age shrank by 2.44m in 2013, having already fallen by several million the year before. This demographic turning-point (dubbed “peak toil”) has contributed to a marked slowdown in China’s potential rate of growth from the double-digit tempo of yesteryear. Whether the economy actually fulfils that (diminished) potential depends on a second kind of growth: that of demand. On the one hand, too little spending on goods and services will result in the underemployment of even a shrinking population (witness Japan). On the other hand, too much results in inflation. By that yardstick, demand in China is still modest. It was enough to increase GDP by just over the government’s minimum threshold of 7.5%. But the economy did not grow fast enough to generate any inflationary pressure. Consumer prices rose by only 2.5% in the year to December. Prices paid to producers fell, for the 22nd month in a row. The Chinese economy is not overheating in any conventional sense. China’s excesses take a different form. It is not the growth in demand that worries pessimists, but the growth in credit. The stock of outstanding financing for the private sector grew by about 20% last year, according to the central bank’s broad measure (which includes corporate bonds, equity issuance, and a variety of loans by banks and other lenders) even as nominal GDP grew by only 9.5% (see chart). Some of those loans are now turning ugly. One credit product, sold exclusively through ICBC, China’s biggest bank, on behalf of China Credit Trust, a non-bank lender, is poised to default at the end of this month. It raised 3 billion yuan (over $490m) for Zhenfu Energy group, an ill-fated coal-mining venture, the vice-chairman of which was arrested for taking deposits without a licence. Zhenfu cannot repay its debts. The big question that remains is whether the product’s buyers, sellers or issuers will bear the loss. China’s credit is not all this bad. And even the bad lending is not all bad in the same way. In fact credit, too, can usefully be divided into three categories, according to how it is spent, argues Richard Werner of Southampton University. Some is spent fruitfully, on new capital and infrastructure, increasing the economy’s productive capacity. Because lending of this kind adds to both demand and supply, it should result in higher economic growth without higher inflation. Another chunk of credit is spent wastefully, either on consumption or on misconceived projects, such as bridges without destinations or coal mines without markets. These loans add nothing to the economy’s productive capacity, but they do add to demand. They make a claim on the economy’s goods and services, without adding anything to its ability to provide them. Credit of this second kind should, then, result in higher inflation, increasing nominal GDP but not real GDP. The surprising lack of inflation suggests that much of China’s credit is instead of a third kind. It is spent speculatively, on existing assets, real or financial, in the hope they will rise in value. Because these assets already exist, they can be purchased (and repurchased) without adding directly to GDP or straining the economy’s capacity to produce new goods and services. Credit and asset prices can chase each other higher, even as consumer prices remain flat. Because this third kind of credit adds little to economic growth, curbing it need not, in principle, subtract much from growth. China’s financial authorities have repeatedly stated their desire to shrink overstretched balance-sheets, especially among mid-tier banks, without discouraging the flow of credit to the “real economy”. But although this is entirely feasible in principle, it is a difficult trick to pull off in practice. via China’s economy: In three parts | The Economist. Xinhua: “China will step up efforts to build up its service industry to make it a new engine to power sustainable growth, Premier Li Keqiang said on Wednesday. Speaking at a summit during the second Beijing International Fair for Trade in Services, Li stressed the important role of the service industry in job creation and economic upgrading. “Increasing service supplies and improving service qualities will help unleash huge potential in domestic demand, and thus offer firm support for stable economic growth and structural optimization,” he said. The latest emphasis on service trade is part of China’s efforts to drive growth in the sector to build an upgraded version of the economy. In 2012, the service industry accounted for 44.6 percent of gross domestic product (GDP), up 2.7 percentage points from a year earlier but still significantly below the share of 60 percent or more seen in many developed countries. Li noted the key to spur growth in the area lies in reform and opening-up to remove institutional barriers. “China will further open up the service industry, and pilot free trade experimental zones to tap development,” he said, adding that the government will seek balanced trade and encourage cross-border investments in the sector. The premier stressed countries should abide by the win-win principles of rising against protectionism, removing trade barriers, and coordinating efforts to facilitate personnel flows, recognition of qualifications and a setting of standards. Developed countries should lead the effort to open up their markets, while developing economies should be actively engaged in building the global trade mechanism and standards in the service industry, according to Li. via China designates service industry new growth engine – Xinhua | English.news.cn.